‘Few poets in the last 60 years have demonstrated as much subtlety of thought and honesty of feeling as P.K. Page. Page emerged during Canadian poetry’s fabled golden age (arguably 1945-1965), and today still remains one of the world’s most affecting poets. ‘Planet Earth brings together works from her long career, and, as such, does an excellent job of underlining Page’s contribution to Canadian literature. Whether she is depicting life’s elaborate carnival with broad stokes of language, or precisely dissecting folly with a bladed pen, Page always cuts directly to the heart of the human condition. creating futures from a foreign tea cup. that travel is broadening at the café table. caught like a wind in the freedom of their sails. I was a sudden mathematician. 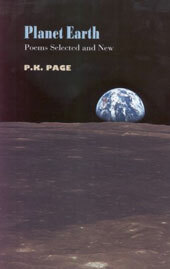 P. K. Page wrote some of the best poems published in Canada over the last seven decades. In addition to winning the Governor General’s Award for poetry in 1957, she was appointed a Companion of the Order of Canada in 1999. 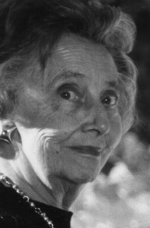 She was the author of more than two dozen books, including ten volumes of poetry, a novel, short stories, eight books for children, and two memoirs based on her extended stays in Brazil and Mexico with her husband Arthur Irwin, who served in those countries as the Canadian Ambassador. In addition to writing, Page painted, under the name P. K. Irwin. She mounted one-woman shows in Mexico and Canada. Her work was also exhibited in various group shows, and is represented in the permanent collections of the National Gallery of Canada, the Art Gallery of Ontario, and the Victoria Art Gallery, among others. A two-volume edition of Page’s collected poems, The Hidden Room (Porcupine’s Quill), was published in 1997, and the full range of her richly varied work is being made available in a digital resource, The Digital Page, supplemented by a series of texts in print and e-book format published by The Porcupine’s Quill. P. K. Page was born in England and brought up on the Canadian prairies. She died on the 14th of January, 2010.